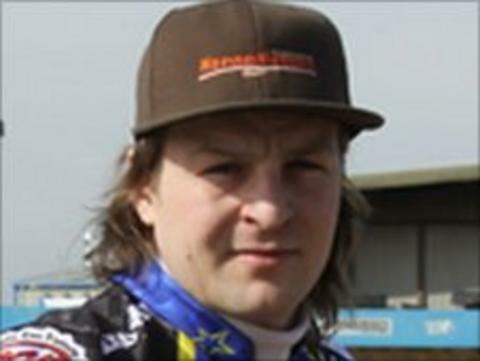 King's Lynn Stars rider Mads Korneliussen has expressed his anger at the late postponement of Friday's meeting at Coventry. Coventry called off the fixture due to a lack of rider availability, caused by GP qualifiers on Friday and Saturday. And Korneliussen has said he will lose money over the cancellation. "It's more or less a joke, they could have done it months ago because they knew this qualifier was on this date," the Dane told BBC Radio Norfolk. "It's just a joke because I've got a meeting in Sweden first, then one in Germany Saturday and Poland Sunday, so logistics is a nightmare. "It will cost me between £200 and £300, it's not the first time they've put fixtures on stupid dates." The Bees postponed the meeting after it became apparent they would be without four of their top five. The Stars were set to be missing Niels Kristien Iversen but had recruited Tai Woffinden as a replacement. Coventry co-manager Alun Rossiter explained the reasons behind the decision: "I know people will be asking why this decision wasn't taken earlier, but we've been burning the midnight oil with getting a team together for this meeting. "At one stage it looked like at least a couple of the riders would be able to still line up for us, but unfortunately they are now under the threat of bans if they do not compete in their World Championship meetings. "It's not our normal policy to call meetings off, but to run a meeting in those circumstances would make a mockery of things. We know how hard it's been with being without members of our regular team lately, but this would have been much worse."